Sear’s call centers have an automated service that DOES NOT let you get to the rep by “pressing 0” or saying “Customer Service”. Instead, you have to follow the prompts to get to the right person. 3. Once you make your selection, you will be transferred to a live Sears customer service representative. Before you buy Kenmore Appliances, consider that Sears is looking to sell this brand (the whole Kenmore line) to improve company finaces. 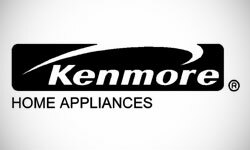 Therefore, you service / warranty / parts situation with Kenmore appliances MAY BE in jeopardy. So think twice before you buy it… and maybe opt for other brand that Sears sells (Maytag / Samsung / GE / etc). If you read business news, Sears Holding is not doing well. In fact to keep the company alive, they just recently sold it’s Craftsman brand to Stanley-Bostich-Black&Decker for $900mil (which is about the same as capitalization of the whole Sears company). Looking for a Different Sears Phone Number? Sears is one of the oldest American chain department stores, founded in 1886. Initially started as a mail order catalog business, Sears opened its first retail location in 1925. Until 1989, Sears was the largest retailer in the USA, before Walmart surpassed the record. Currently, the company is the 5th largest department store in the US. Sears operates stores in Mexico and Canada. Sears offers a wide range of merchandise including: apparel, shoes, appliances, electronics, tools, automotive parts, fitness, home goods, jewelry, outdoor and garden, baby and kids, appliances parts and more. There is a wide range of home improvement services including: roofing, siding, windows and doors, bathroom and kitchen remodeling, carpet and upholstery cleaning, appliances repair, heating and cooling.